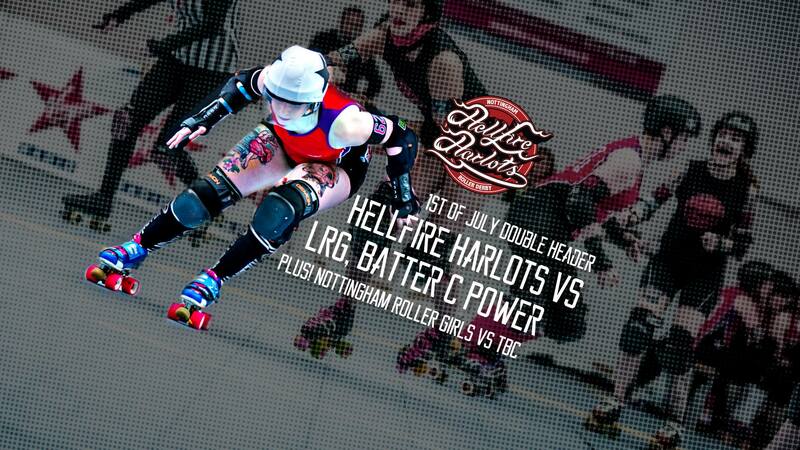 We’re bringing you a not to be missed double header – Hellfire Harlots vs London Roller Girls Batter C power, and for the first time ever our local friends Nottingham Roller Girls vs Hulls Angels Roller Dames on the same billing! For regular fans please note the Harlots games will be the FIRST game. Kicking off at the earlier time of 12.40pm. Keep up to date on all the latest event news on facebook! As always, stalls, fun, cakes and a great family day out. Tickets will be the bargain price of just £5 IF you order in advance. (£7 on the door or £6 for concessions). Under 14s free.